Seriously Gorgeous Italian Linens for Table, Bedroom and Kitchen. Having an amazing collection of fine ceramic dinnerware and hand blown glassware feels good, but let's face it... without the right linen tablecloth or cloth napkins, the table is never truly set. Fortunately for you, and us, and everyone who appreciates true Italian craftsmanship, Tessitura Pardi has us all well covered. 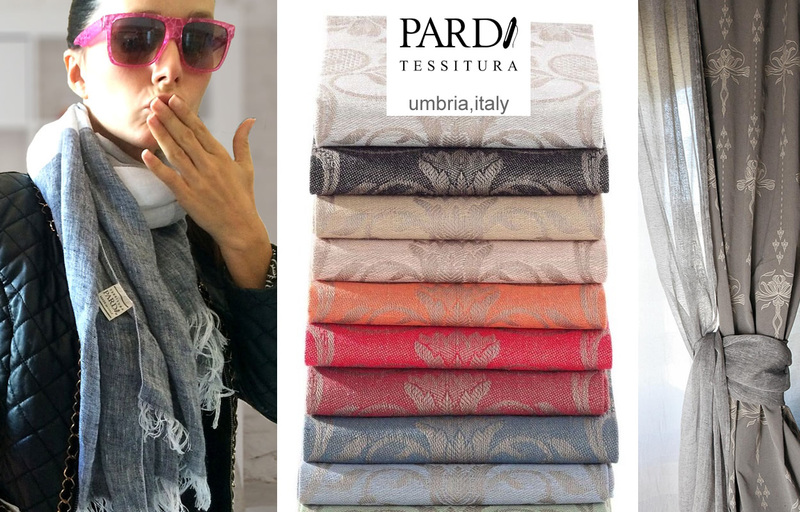 Located in the Umbrian region of Central Italy, Tessitura Pardi has mastered the art of fine European linens at extremely reasonable prices. The Tessitura Pardi tablecloths collection delivers the rainbow of colorful options for your table, with patterns and motifs straight from the heart of Italy's storied past. For special events or every day use, a Tessitura Pardi tablecloth adds life to any table. Our collection of Tessitura Pardi linen napkins and placemats use the same color and pattern sets from their tablecloth line, so matching and complementing is super easy. If you're looking for a thoughtful gift for someone who appreciates quality in the kitchen, consider the Tessitura Pardi tea towels, like the Donzella pattern, with its scenic silhouetting or the Quattro Stagioni, with its abundant harvest from field and orchard. Their natural shades convey an earthiness that is a true glimpse into the soul of Italy. Ann Marie's is always pleased to bring you a little taste of European finery, and our catalog menu at the top of the page makes it easy for you to travel Europe without every leaving your home. If you have any questions on any of the product lines represented, we always welcome your call, toll-free, at 1-800-706-9993.